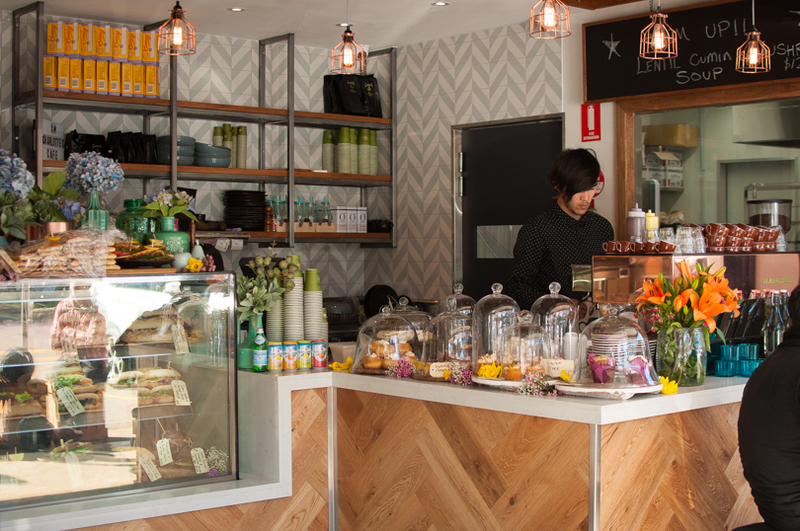 We’ve been visiting Pennant Hills for years now as it has a great park and a library, so you can make a nice little morning of it with the kids. You can also get a coffee there too which is essential. 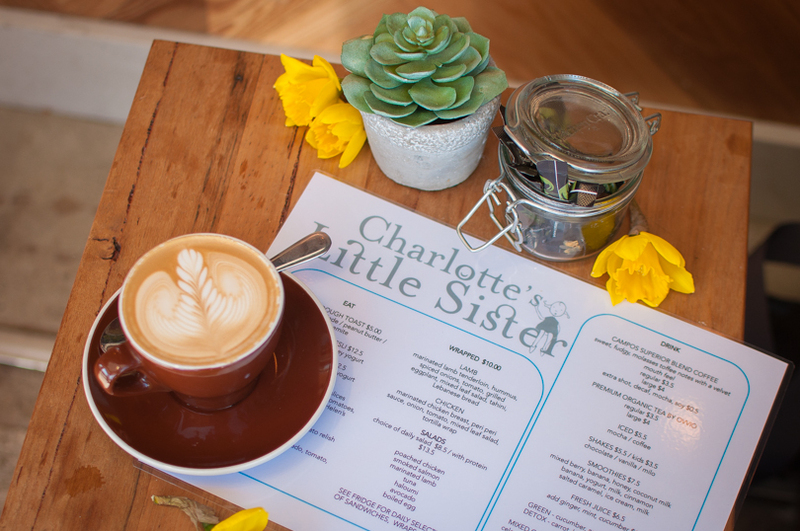 But now, with the arrival of Charlotte’s Little Sister, you can get a GREAT coffee! The hole in the wall café next to Harris Farm opened only four weeks ago but seems to have invigorated the little shopping centre. It was absolutely humming when we visited – there were workers, tradies, mums, cool young things with scooter helmets, a retiree bikie and oldies all out and about in the sunshine. 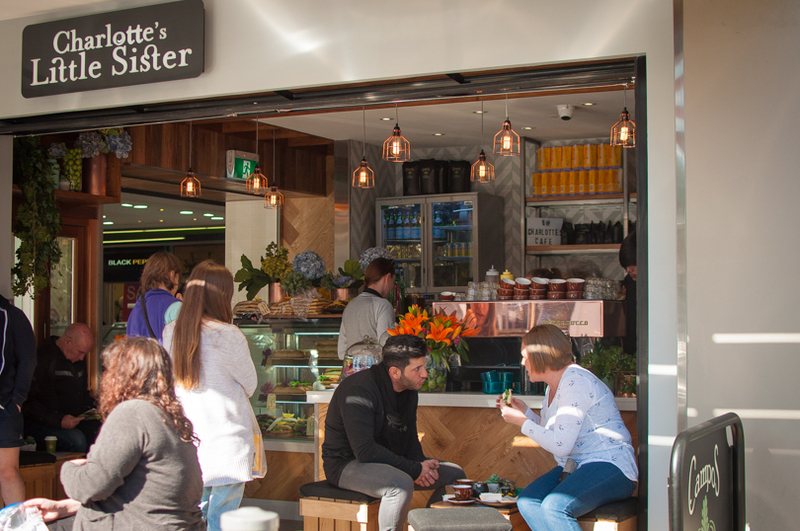 This is one of a handful of smaller siblings popping up around Sydney, with the oldest Charlotte – the original Charlotte’s Café – an inner west institution that’s been in Birchgrove for years now. And when we arrive at Charlotte’s Little Sister we can see why the vibe is happy and upbeat. 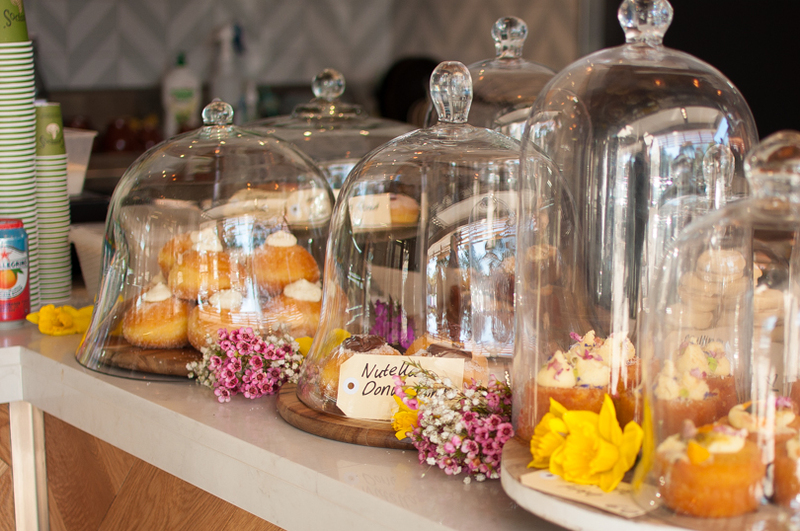 The café is pretty, just really darn pretty. There are flowers all about and the blonde chevron-patterned wood, grey and white tiles and copper pendant lights – well, that’s as pretty as you can get! It’s just a lovely space to be in, which might explain why it’s so busy. We meet Jason the owner who’s one very busy man, but lives his brand 7 days a week and gets through his day with the help of 8 coffees he says! And they’re churning through a huge amount of coffee since opening, which is a great sign for lovers of good coffee. You know it’s going to be good because of the practise they’re getting! But also, it’s Campos Coffee, one of our faves. Tick and tick! 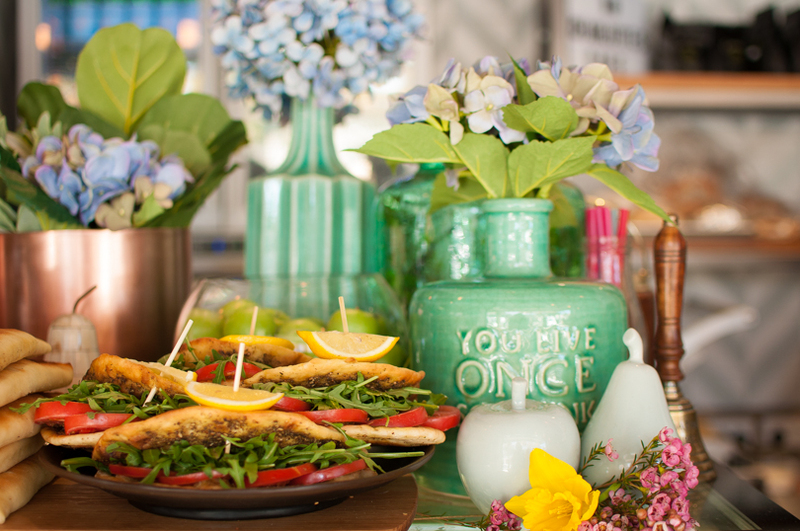 There’s an array of morsels on the menu – brekkie favourites, savoury sandwiches and wraps, and some very pretty sweets that look almost too good to eat! Jason says the bacon and egg roll is spectacular, mentioning a mound of bacon and a brioche roll. We’re sold and came back that weekend to try it and we weren’t disappointed. There’s space for prams which is great if your little one is buggy-bound but it’s not the sort of place you can really sit for a long time with a wriggly toddler – there’s not a huge amount of space and it’s right on the car park. But we’d rather come toddler-free anyway so we can enjoy all the pretty in peace.